The headphone and microphone in the above screenshot are rendered with the model layer. The template used is from BixPack 7. What can I do with the model layer? With the model layer you can render 3D models. How do I create a model layer? Choose LAYER > Add layer > Add model layer... to create a new model layer. Choose LAYER > Attach layer > Attach model to active layer... to attach a new model layer to the active layer. The new model layer can be selected from the layers dropdown to make it the active layer. The installer comes with shows demonstrating the possibilities of the model layer. Choose FILE > Open show... and select a show from the BluffTitler/Media/Shows/Model folder. How do I change the model? The position of the model. The rotation of the model. The point around which the model rotates when animating the Rotation property. When you press F2 the pivot point is visualised with cyan, yellow and purple arrows. The size of the model. The diffuse colour of the model. The transparency of the model. A model is built out of submodels. If this property is set to 0, all submodels are rendered. If this property is set to X, only submodel X is rendered. If this property is set to -X, all submodels except X are rendered. Every submodel can have its own texture. Make sure to place the textures next to the model file. When you apply a texture to a model layer (by clicking the Change texture... button or pressing F8), this texture overrules the texture as defined in the model. A model is built out of submodels. If the Submodel property is set to 0 all submodels are rendered. If this property is set to X, only submodel X is rendered. And if this property is set to -X, all submodels except X are rendered. You can automatically create a separate layer for every submodel by pressing <Control> U. This way you can give every submodel its own colour, texture and effect. The BluffTitler installer comes with 3 models to play around with. 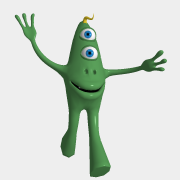 Bix is the alien mascot of Outerspace Software. You can bring him to life by applying the Effects/Special/Bix effect. With this effect you can move his arms, legs and eyes. 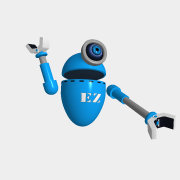 Bix's sidekick is called EZ, pronounced as "easy". You can bring EZ to life by applying the Effects/Special/EZ effect. 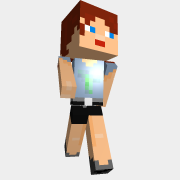 The avatar model is a low-poly, low-res game character. By editing Avatar.png next to the model file, you can easily create your own characters. You can bring your avatar to life by applying the Effects/Special/Avatar effect. Many BixPack template packs come with 3D models. BixPack 1 comes with a collection of virtual studio models. BixPack 16 comes with a collection of newsroom models. BixPack 3 comes with a collection of home video models. BixPack 21 comes with a collection of candy models. BixPack 28 comes with a collection of flower models. There are many sites where you can download 3D models. humster3d offers many models in the .x format. cgtrader offers many models in the .x format. Tree It generates trees in the .x format. SpeedTree generates trees in the .fbx and .obj formats. Open 3D Model Viewer supports 40+ 3D model formats including the .x format. Accutrans software can be used to easily convert common 3D formats to .x. Greentoken offers online 3D model format conversion. Pandasoft has published a plugin for 3DS MAX allowing you to save your 3D models as .x files. 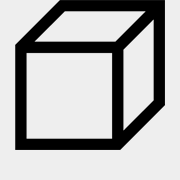 This plugin for Google SketchUp allows you to save your 3D models as .x files.